1. Combine Marinade ingredients in medium bowl. 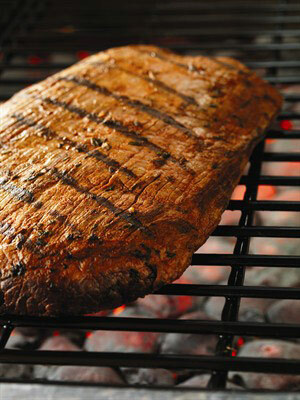 Place beef steak(s) and marinade in food-safe plastic bag; turn steak(s) to coat. Close bag securely and marinate in refrigerator 6 hours or as long as overnight, turning occasionally. 3. Serve half of steak(s) immediately, as desired. Cover and refrigerate remaining steak(s) for later use. Before serving, carve steak(s) into thin slices; season with salt and pepper, as desired.